: Spread your wings and fly like a bird above the enticing hills of the Himalayas. As you flutter in the blue sky admire the immaculate nature. 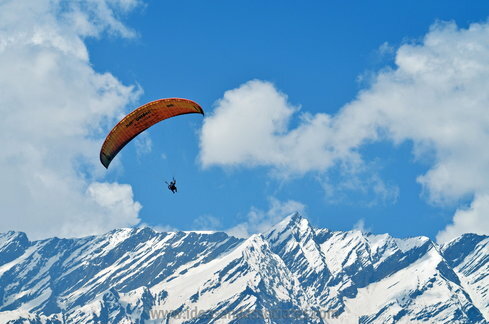 The adventurous activity of Paragliding is one of the most enthralling things to do in Kullu. Kullu is a hub for aero sports and hence allures numerous enthusiasts seeking the adrenaline rush. One need not worry about the safety issues, as you would undergo a proper training program and will be thoroughly guided by well qualified trainers. So get ready for an action-packed experience. Board your flight and sore.